Russian markets are likely to continue trending downward as investors eye the US government’s jobs report for July, expected later today. ­European stocks declined Thursday after ECB President Mario Draghi failed to announce concrete steps to bring down borrowing costs for debt-ridden Spain and Italy. The Spanish IBEX 35 dropped 5.16%, and the Italian FTSE MIB shed 4.6%. 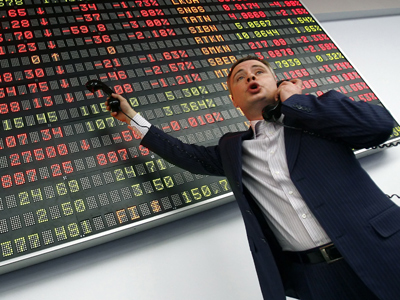 The Stoxx Europe 600 fell 1.3%. Earlier Thursday, the ECB had kept its key interest rate at 0.75%. Russian stocks also closed lower Thursday as investors abandoned hope that the ECB would take immediate steps to tackle the Eurozone crisis. The MICEX declined 1. % and the RTS lost 1.4%. US stocks on Thursday retreated for the fourth consecutive day, with the ECB meeting failing to calm investor worries. 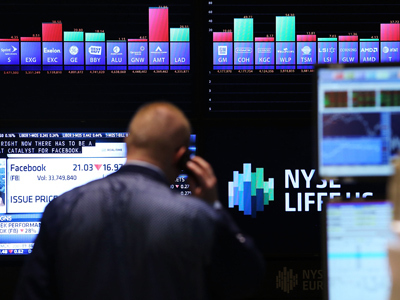 The Dow Jones lost 0.7%, while the S&P 500 declined 0.8% and the Nasdaq fell 0.4%. Most Asian markets tumbled Friday, joining a global chorus disappointed by the lack of action from the ECB. Japan’s Nikkei lost 1.2%, weighed down by weak earnings from Sharp Corp. and Sony Corp. Hong Kong’s Hang Seng fell 0.9% and Australia’s S&P/ASX 200 declined 1%, and South Korea’s Kospi retreated 1%. The Shanghai Composite bucked this trend, gaining 0.4%.